How ready is your business for the new BIM requirements? How many of your clients are you set to lose? How confident are you that your business will survive long term once the new requirements come into force? How much do you know about the forthcoming BIM requirements, and how prepared is your business? All good questions, and ones to which you will hopefully either be close to answering, or at the very least be asking. Let’s analyse those questions and establish a basic understanding of what the situation is, what’s required and why, how it is likely to affect businesses and what businesses need to be doing right now in order to ensure they are ready and won’t find themselves on the scrapheap in 18 months time. What Exactly Is BIM (Building Information Modelling)? First of all, let’s be entirely clear on one thing. The new BIM requirements are NOT coming into effect in 2016, as I have seen some allude to elsewhere. They are already in effect. In fact they were launched a while back. However, if you haven’t yet picked up on this, or implemented changes in business practice then don’t worry. The take up throughout the construction industry hasn’t exactly been breathtaking. It’s been extremely slow so far, but that doesn’t mean that businesses can afford to remain so. The risks of not taking action with BIM now could be considerable. Business Information Modelling is the development and implementation of a consistent modelling approach across all sectors of the building and construction industry. The bottom line purpose of this is to save money, with the Government looking to BIM to help cut the construction costs of public sector buildings by 20-30%. Although the new BIM recommendations are already in place there are very few examples where this has been implemented in the way the Government is hoping, and certainly will require by 2016. Currently many design companies use computer models, but this data is not always made available in an easily accessible format by the construction company, or by any company coming in to carry out repair work or remodelling at a later date, nor to the company brought in during any demolition phase. This makes little sense really since the computer model created by the design company includes a huge amount of essential information which could provide valuable information to subsequent parties involved in the construction, maintenance or removal of a property. That knowledge could help improve the decision making process, cut costs, cut time, avoid unforeseen problems and improve safety. 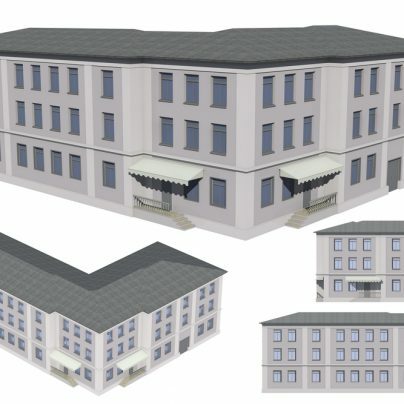 Building Information Modelling is therefore an approach which will see all parties involved in the design, construction, maintenance and demolition of a building from start to finish able to access the same computer modelling information. Standardisation and consistent transfer of information are the keys. What Are Businesses Required To Offer By 2016? There are four levels of BIM, and the Government is requiring that all design and construction projects from 2016 include businesses which have reached at least Level 2. However, Level 2 is actually the third level, since they are numbered 0, 1, 2 and 3. Another reason not to be complacent! Level 0 is the traditional approach which uses the CAD at the start of the project. Level 2 BIM will require that a managed 3D environment is used which has all relevant BIM data attached, and which allows for the integration of 4D programme data as well as 5D cost elements. Currently only 15% of construction work in the UK uses Level 2 BIM, which shows just how much progress needs to be made. Incidentally, the top level, Level 3, involves a complete web based design process which allows for collaborative work on a modelling server, allowing all parties to able to add their own specific information to the model, with all changes being tracked. This model would effectively be developed by everyone such as architects, surveyors and consulting engineers. The model should allow for easy updating, with the implications of any updates being easily calculated, such as changes in cost or timing. What Will Happen If My Business Isn’t Level 2 BIM Ready? Don’t worry, your business won’t have to close. It just won’t get very many contracts. If you are ever likely to be involved with public sector construction in any form, including the design and development of a building, the remodelling or adaptation of a building or the deconstruction or demolition of a building, then you absolutely must be Level 2 BIM capable. if not, you simply won’t be considered. It is also likely that this requirement will become an industry expectation, and one adopted by private sector companies and organisations, which means that now is probably an excellent time to start thinking about preparing for a more open source, integrated digital future. What do you think about BIM and the impact on businesses, please comment below. Inbuilding.org are running a free online Q&A on BIM and Autodesk Revit. Thanks David for sharing whats exactly bim is about and its requirements.After reading your post i think i will also have to take training on Bim as i want to make my career in construction industry.